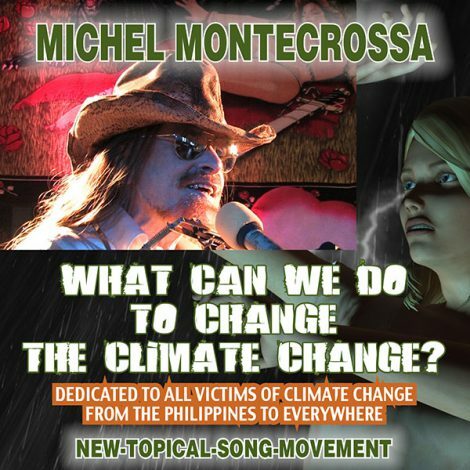 Climate Change Songs & Song Lyrics, Part 3 features the songs ‘Changing World’ and ‘Talkin’ Future World’ by Michel Montecrossa. What can we do to change the climate change? / First thing for sure is consciousness change. / We must grow in awareness and practice habit change / that‘s what we can do to change the climate change. What can we do to bring the wrong to an end? / I say, let‘s take the direction away / from doom and deadly games / towards deep understanding of truth and action / that‘s what we can do to bring the wrong to an end. This is Mirapuri, it‘s my pounding life. / It‘s my message of encouraging love and light / of a better world ending climate change night. / This is Mirapuri, well, it‘s the helping might. And what can I do to change the climate change? / First thing I know is consciousness change. / I grow in awareness and lend a helping hand. / That‘s what I do to change the climate change. ‘Land Under Water’ released by Mira Sound Germany presents as audio-single and DVD Michel Montecrossa’s admonishing New-Topical-Song prayer ‘Land Under Water‘ dedicated to all flood victims from Pakistan to the Mississippi and more. The land is under water, / can’t you see it, my friend? / The land is under water, / and it’s not the end: other things are waitin’ / and it’s not just climate change! Other things are waitin’ / just around the bend. / Tomorrow won’t be easy / unless you understand: kindness is the answer / and to learn to be a friend. The hours of the darkness / are long and full of pain / when greed becomes your master / and terror is your aim: the land is under water, / without love it’s all in vain. All nations must unite / on the way of love’s true order / beyond the fascist-borders / and the rascist-games, beyond the banka-gangstas / and their cheating hands. Truth is in your soul / beyond all thought-control. / Truth is like a mother: / simple she is and warm, brings world and man together / for healing all the wounds. 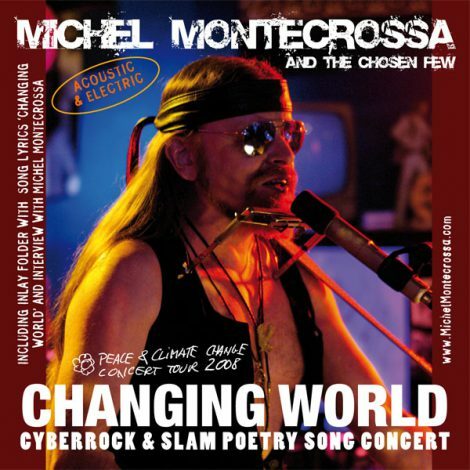 ‘The Need Of The People’ Climate Change Concert with new topical songs, released by Mira Sound Germany as Double Audio-CD or DVD is Michel Montecrossa’s fourth concert of the Future World & Climate Change Concert Tour 2011. Performed in the Omnidiet Music-Hall in Mirapuri on 12th March 2011 the concert includes 28 acoustic and electric songs that pound with the heartbeat of the people and lyrics written with the big blood stream of the people, including the title song ‘The Need Of The People‘ and more great acoustic songs like ‘Vision Glasses For Better Seein”, ‘War Kills’, ‘We Want Work!’ and ‘Link To The Global Nerve’ plus great electric songs like ‘Rocker Of Tomorrow’, ‘Reality Rocker’, ‘Will You Wake Up?’, ‘Get Rid Of All Your Answers’, ‘I’m Seeing Things Different’, ‘Free Room’, ‘Share The Feeling’ and ‘Hand It Over’. 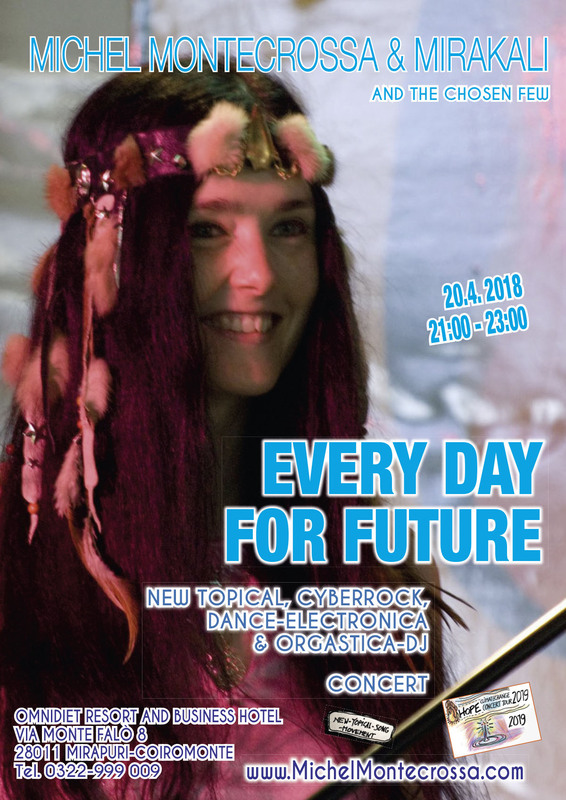 Mirakali and Diana Antara contribute touching songs like ‘Free And Strong’ and ‘For Arnika & Mirabella’. 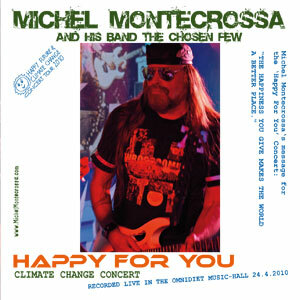 ‘I Lead You To The Happiness’ released by Mira Sound Germany presents on a maxi-single two great songs of Michel Montecrossa recorded during the rehearsal for his Happy Future & Climate Change Concert with the same title: the gentle acoustic song ‘I Lead You‘ and the driving dance electronica ‘The Happiness‘. 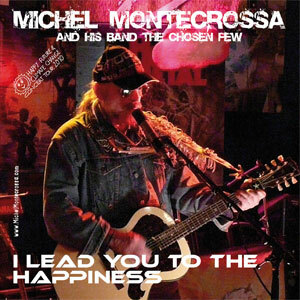 CD-News: Ab sofort ist Michel Montecrossa ‘s ‘I Lead You To The Happiness’ als Maxi-Single erhältlich. Enthaltene Songtracks der Maxi-Single; das gefühlvolle Akustikstück ‘I Lead You‘ sowie energiegeladener Dancedrive von ‘The Happiness‘.